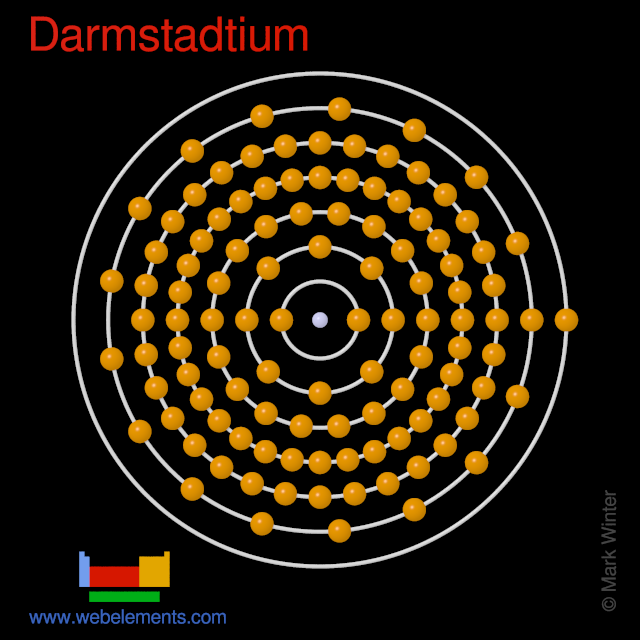 Darmstadtium atoms have 110 electrons and the shell structure is 2.8.18.32.32.17.1. 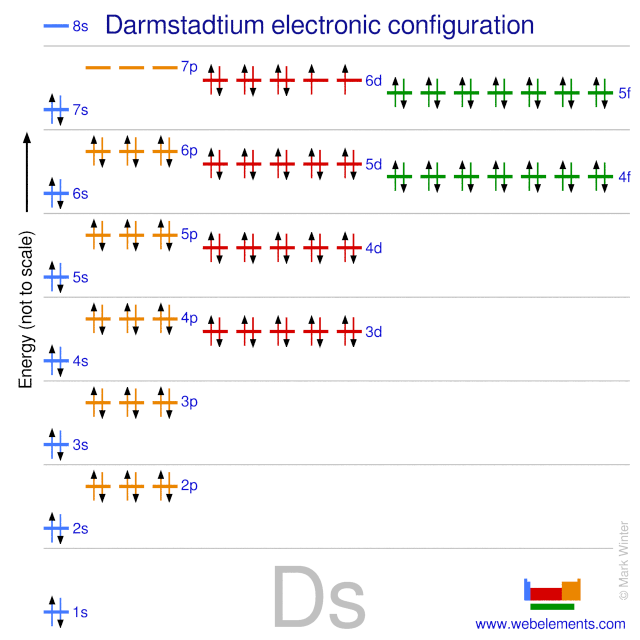 The ground state electron configuration of ground state gaseous neutral darmstadtium is [Rn].5f14.6d9.7s1 (a guess based upon that of platinum) and the term symbol is 3D3 (a guess based upon guessed electronic structure). Schematic electronic configuration of darmstadtium. The Kossel shell structure of darmstadtium. A representation of the atomic spectrum of darmstadtium. The electron affinity of darmstadtium is (no data) kJ mol‑1. 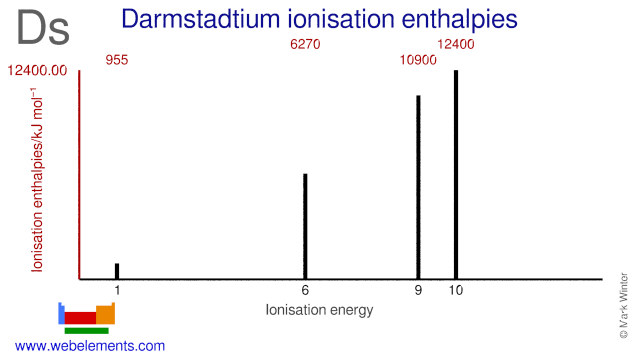 The ionisation energies of darmstadtium are given below. Electron binding energies for darmstadtium. All values of electron binding energies are given in eV. The binding energies are quoted relative to the vacuum level for rare gases and H2, N2, O2, F2, and Cl2 molecules; relative to the Fermi level for metals; and relative to the top of the valence band for semiconductors.